We recently debuted our Spring 2016 Collections during New York Bridal Fashion Week, and today, we’re excited to share some of our favorites! 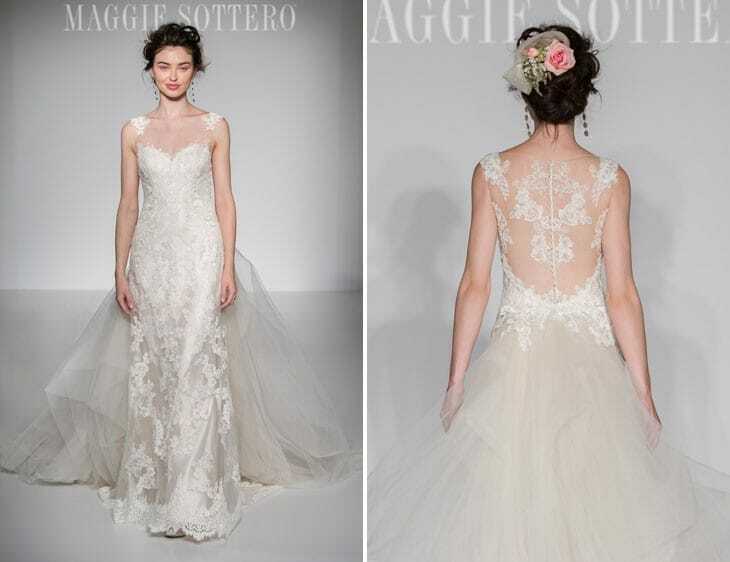 We’ve rounded up our top 10 wedding dresses from New York Bridal Fashion Week for our gown spotlight today. 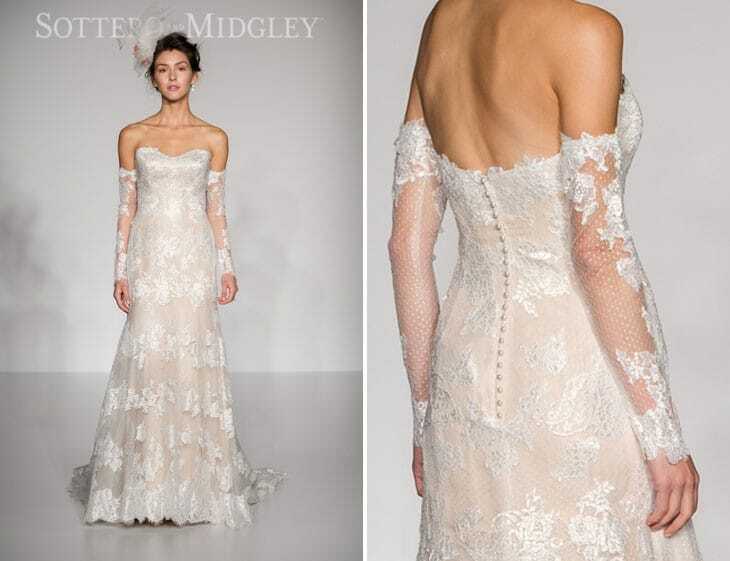 See our top 10 wedding dresses below! 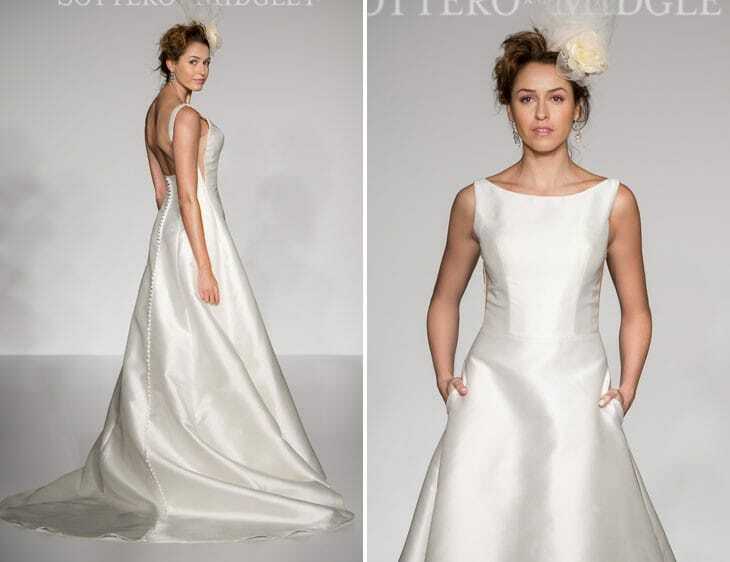 What do you think of our newest wedding dresses? P.S. 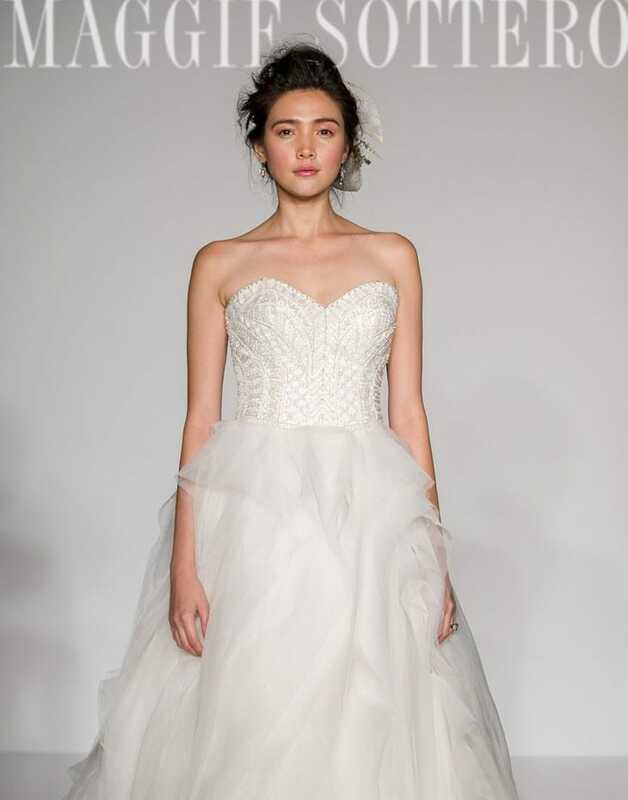 Did you miss the coverage from our time at New York Bridal Fashion Week? Catch up here! 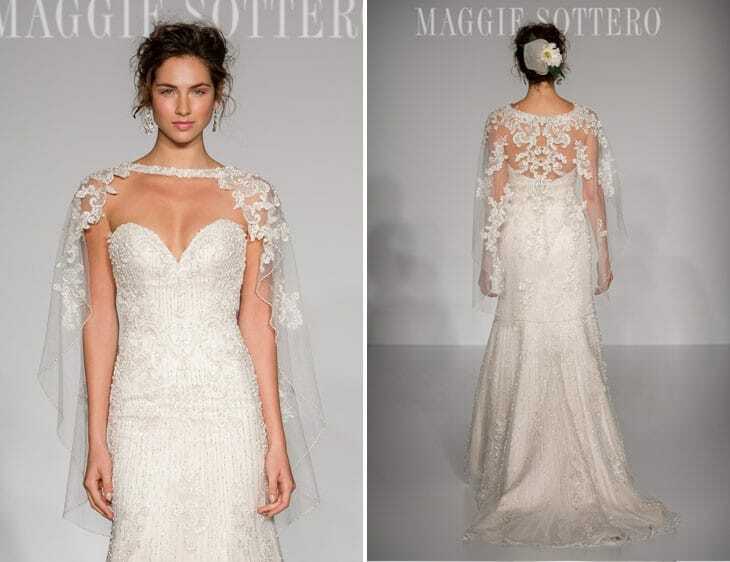 Designed with the classic romantic in mind, Maggie Sottero’s Aracella Collection whispers modern femininity, fusing timeless silhouettes with alluring details, captivating the traditional bride and charming the modern bride alike. From romantic lace sheath wedding gowns to breathtaking ball gowns, enchanting capelets and alluring open backs, this collection calls to the fairy tale bride. 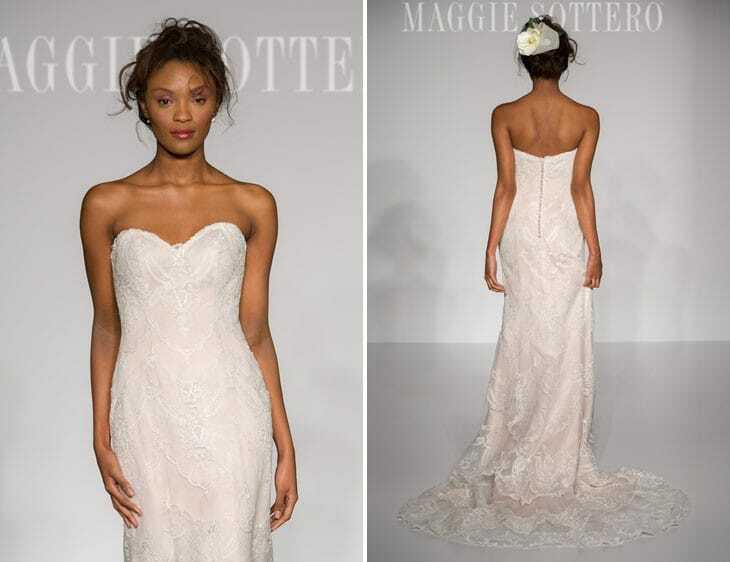 For a more fashion-forward bride, take a look at our newest Sottero and Midgley Collection. 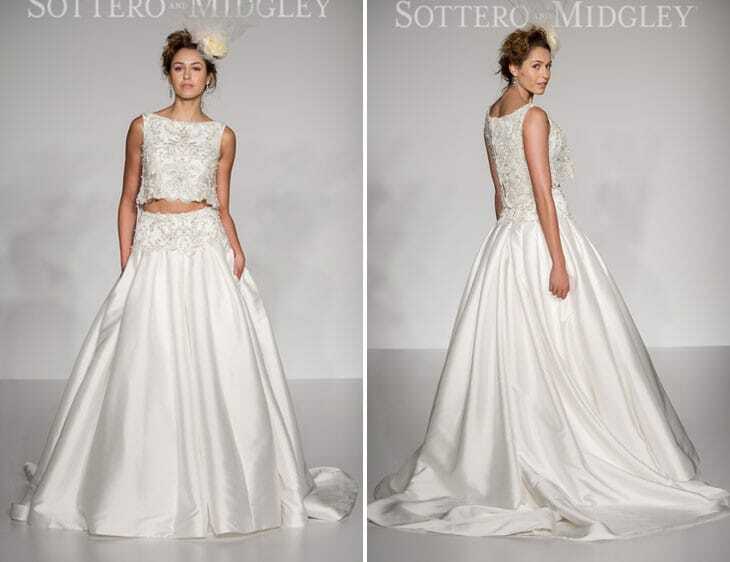 Commanding an essence of sophisticated beauty, Sottero and Midgley’s Monaco Collection embodies elegant and glamour; an artful blend of refined styling and eye-catching drama. The Monaco Collection celebrates simplicity with a contemporary twist. 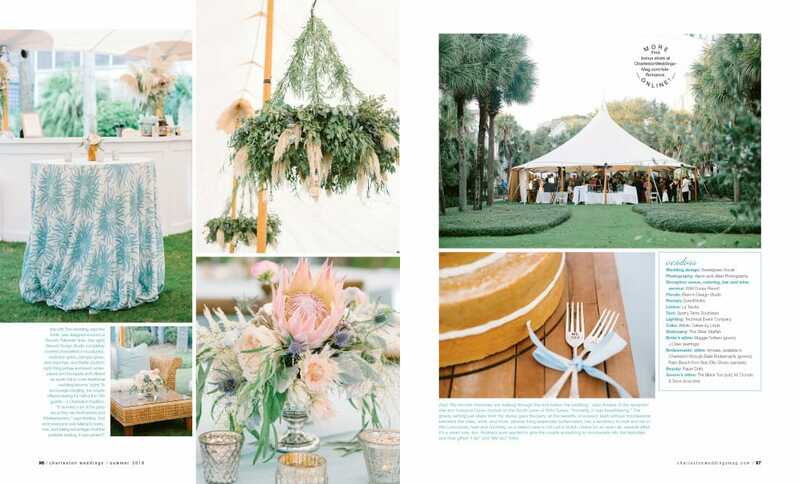 Some of our favorites include a decadent beaded two-piece ball gown, a dramatic laser cut leather lace sheath wedding gown, chic lace wedding dresses with breathtaking sleeves, and a sophisticated A-line wedding dress. See more below!